Two of my children have reached the age where they’re fairly proficient at simple meal prep and have several kitchen responsibilities. 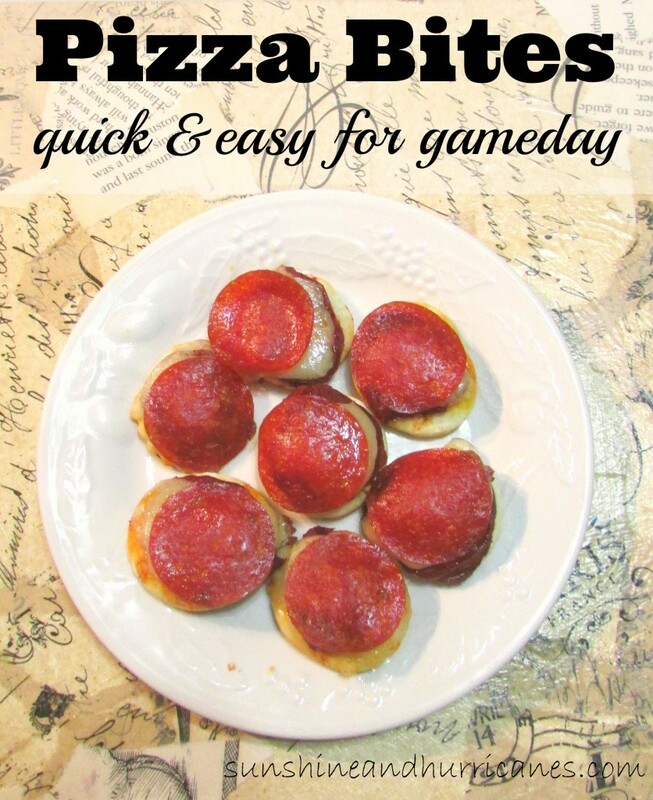 One of their favorite things to make are these Pizza Bites and I love how creative they can be and the fact that they do all the prep, cooking, and clean up….score one for me! So, set your kiddos free with this assignment and you’ll be eating yummy Pizza Bites in no time! 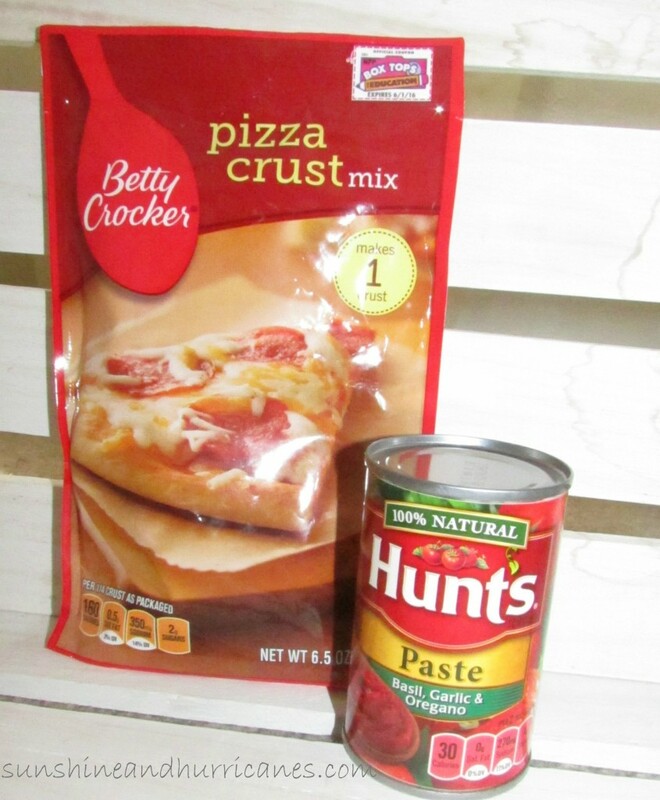 They use a pizza crust mix or hot roll mix, whichever I can find easily, 1 small can of tomato paste, 1/2 tsp. garlic powder, 1/2 teaspoon of oregano, toppings of your choice! Make the dough according to the instructions. 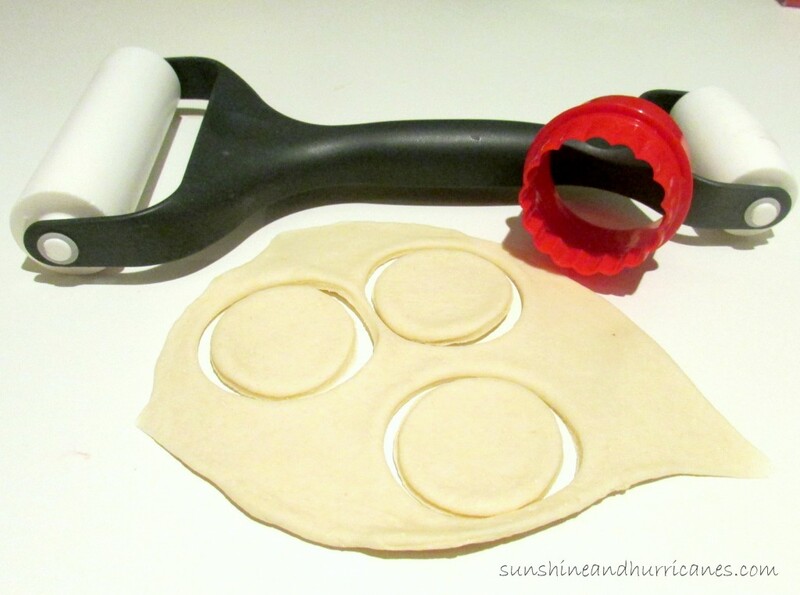 I like giving them these mixes because they only require a 5 minute “rising” time and are not “sticky”, the way some pizza dough can be, making it harder for them to roll & cut. Mix seasonings into the paste, then roll and cut out dough with a small circle shaped cutter or cup, place on a cookie sheet coated with cooking spray, and bake for 4-5 minutes in a 350 degree oven. Remove from oven, top with tomato paste & toppings, place back in oven until cheese is well melted, about 5 minutes. Some favorite topping combinations are: traditional pepperoni & mozzarella, cheddar, ham & pineapple chunks, veggies, & a dessert version, featuring a light spread of peanut butter with a few chocolate chips and marshmallows. These are bite size, perfect for parties, serve as appetizers, tailgating, Super Bowl gatherings, snacks, or even a meal! I package generally yields about 50+ 2-3″ pizzas. This simple cooking exercise involves, measuring, mixing, chopping, estimating, rolling, timing, and oven use. Be sure your kids have cooked alongside you multiple times before setting them free in the kitchen and that they have a good working knowledge of safety skills. Don’t be afraid to let them try any of these steps, with supervision in the beginning, as they’re all foundational to cooking. My 9 & 13 year olds are perfectly capable to doing this on their own and my younger girls(ages 3 & 7) are helpers sometimes. Michelle Myers is mom to four kiddos ranging from elementary thru high school, each with strong opinions and a flair for the dramatic. In other words, they're a lot like her. Former educator and lover of learning, she divides her time between carpool and Starbucks by reading voraciously and giving TED talks to herself at red lights. A Floridian for almost 40 years, Michelle loves the beach, making people laugh, and date nights with her hubby of 25 years...and yeas, they clearly married at age 7. These look so good! I love that kids can help with them! How perfect are these for the kids?! These look amazing, I love the frozen ones, so I am sure these are even better. 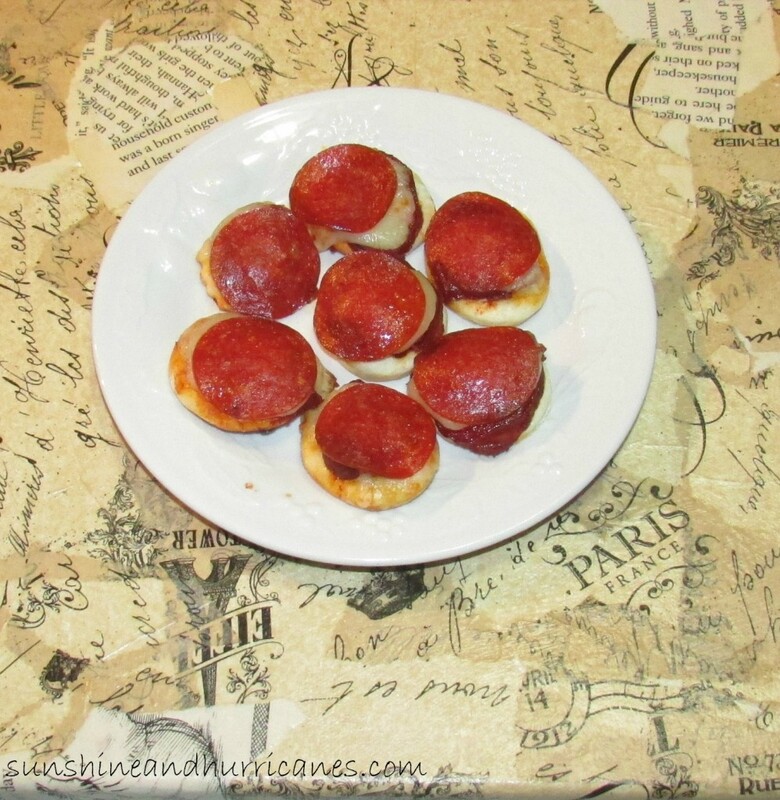 I went through so many Pizza Bagels as a “quick midnight snack” while pregnant, and I never thought to make my own. These look so simple and delicious! I am obsessed with this idea!! So fantastic. I love anything that can be made mini! I am vegetarian & my hubby is meat obsessed so this is a great option where I can just make one thing and add different topping to each mini! Quick simple meals, that are well tasting will always be OK with me. Like Shirley said above, this adult would definitely enjoy the Pizza Bites. 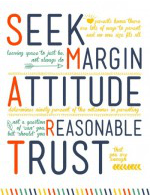 I love how simple this is, and my 12 year old could totally do this by himself. Thanks for sharing! I know you’re talking about the children but I can totally see the grown-ups enjoying these! These are items which should be a staple in every kitchen because Pizza should be one of the Food groups! Yum! How simple and looks delicious! Great little snack for the kiddos! Thanks for sharing! The Worst Apps for Kids - Are You Keeping Them Safe?